Have you been searching for a large selection of used cars for sale at car dealers near Harrisburg PA? Here at Bob Ruth Ford, we have a wide selection of used cars in Harrisburg PA, minivans, SUVs, and trucks for sale. Are you in search of incredible deals and offers? Then the car dealers near Harrisburg PA of Bob Ruth Ford has just the deal for you. So, stop on by to check out all we have to offer you at Bob Ruth Ford, your Ford dealer near me today. Whether it’s used cars in Harrisburg PA or another style of vehicle, we have your dream car waiting for you at Bob Ruth Ford. We are committed to providing you with outstanding customer service and an impressive selection of used cars for sale. We have many makes, models, and body styles to choose from in our inventory selection of used cars for sale. We aim to do our best to make it easy to find a used car for sale that best suits your style and your budget at our Ford dealership near Harrisburg PA. Even shopping for cheap used cars for sale is much easier than you might think at your Bob Ruth Ford dealerhip near you. At your Bob Ruth Ford dealer near me, we have the cheap used cars in Harrisburg PA that you have been searching for at prices you can afford. Our variety of cheap used cars for sale near me ensures you to find the used car that will meet your needs! So stop by and take a look at some of our incredible cheap used cars for sale in Harrisburg PA today. For those looking for cheap cars for sale near you that are efficient on gas, we have used cars in Harrisburg PA that average more than 30 MPG on the highway. Our knowledgeable sales team is here to guide you to help you find the cheap car that suits your needs perfectly. You won't have to feel like you are giving up your creature comforts either just because you are looking at cheap cars for sale near you! You can find cheap cars with power locks, power windows, cruise control, and more. Like on the used 2008 Acura TSX for sale. This cheap used car for sale will offer hours of enjoyment. This cheap used car for sale near you is loaded with great options. 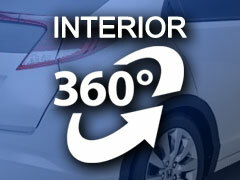 Including a power moonroof, Bluetooth, heated leather seats, and more. This cheap car also has multi-zone climate control, satellite radio, and steering wheel audio controls. So come on over to our car dealers near Harrisburg PA today and check out this cheap used car for sale near you. We want to find the right used car that meets your needs hear at our car dealers near Harrisburg PA. When it comes to buying your next used car for sale, let Bob Ruth Ford dealership near you, be the Harrisburg dealer you go to. Call to schedule an appointment to schedule a test drive today at (877) 818-1593. Or, stop in at Bob Ruth Ford today at 700 North US Route 15 Dillsburg, PA 17019.